Euroworks: Where Dependability & Performance come Standard!! We have been in business for over 25 years serving our local market of Calgary and are thankful for all of the business you, our loyal customers, have given us since we began. We are constantly stretching our personal and professional limits to excel at what we do and always impress. That is our mentality toward business and toward life in general. We didn't get into this business to be second-rate! When you want the ultimate quality... and when you think of European cars in Southern Alberta, think of Euroworks! At Euroworks we excel in European vehicle repair and diagnosis, hence we attract a lot of the BMW, Mercedes, Audi and Porsche crowd! When you are searching for BMW Service, Mercedes Service, Audi Service, Land Rover Service, or Porsche Service in Calgary, you can rest assured that we are ALWAYS well-practiced in all of the issues that may arise in these makes. Whether you need help diagnosing a weird noise or a strange feeling in your vehicle, we have probably seen it before and can give you some great advice! We aren't the type of shop that will only offer you the most expensive option... we are in the business of finding you as many workable and safe options for repair as possible so you can keep your european vehicle lasting a long time! Driving one of the best cars? Bring it to the best European vehicle team! With our years of experience and know-how, we have built a large knowledge base for all European cars and are the center point in Calgary for all mechanical repairs and needs. With proper software and equipment we have the ability to diagnose, scan, read, code and program all of your vehicle's computers and modules. In today's day and age everything has become electronic and these tools are necessary to service vehicles. We are always up-to-date on the newest technology and our team of experienced technicians are always ahead of the curve when it comes to knowledge. Allow us to properly diagnose the problems your large dealer couldn't! ​All of our Diagnostics tools are Dealer Equivalent and "we can do anything the they can do and more." In Calgary, Alberta we are known for potholes and uneven road conditions due to weathering, and if potholes, gravel roads, and other summer conditions have taken a toll on your vehicle, a wheel alignment can ensure you’re driving straight and reducing tire wear. Here at Euroworks we have state-of-the-art equipment and technology that allow us to perform the best alignment service on your BMW, Mercedes-Benz, Porsche, Audi, Land Rover, or any European vehicle you may own. We have certified technicians on our team that perform computerized vehicle alignments along with all mechanical adjustments to ensure all four wheels are parallel and sitting flat on the road. Our team also ensures that your steering wheel is centered straight when your car is actually moving forward in a straight line. We offer 4-wheel alignments for all European makes and models, high-end luxury vehicles, and even exotic cars. After the alignment is completed we will also provide you with a full before-and-after color printout of your vehicle's alignment angles. Alignments are important for your safety, comfort, and your wallet! If you stay on top of your alignment then you'll be less likely to get into an accident, you'll feel better when you're driving around smoothly, and you'll be far, far less likely to incur any unnecessary damages to your tires and other components due to poor wheel alignment. Do the smart thing today and book our alignment service if you notice your car pulling to one side or the other, the steering wheel shaking, or your whole car's front end shakes. Learn more on our Wheel Alignment page! Euroworks tuning was established with one clear goal, to offer the very best vehicle ecu remapping and car tuning service available anywhere in Canada. Euroworks has been driving for perfection in the science of car tuning and REMAP SOFTWARE without compromise for many years. At Euroworks nothing is left to chance, our remap and ecu mapping is the most serious and dedicated in the ecu mapping and chip tuning industry bar none. All customers are welcome to come and inspect our industry leading facilities and meet the team, where we offer EcoTune, PerformanceTune and or RaceTune to fit your needs. Best In Quality In The Industry! Brembo is the undisputed global leader in the production of vehicle brake discs, calipers, and complete braking systems. 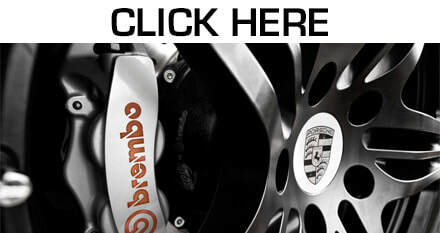 If you have seen an incredible car and taken a look at the brakes... there's a good chance they're Brembo! If you have any knowledge of cars over the last few decades then you know this isn't just what some people believe... it's the truth. Brembo is where true car enthusiasts go when they know they need to do it right. Talk to us about the packages we can offer you. Trust the best brakes in the game. Euroworks in Calgary is best know for BMW Service. Our Service Center is the best way for you to keep your BMW in order and not have to pay the outrageous pricing at large dealerships. BMW scheduled service is grouped into three categories: Oil & Safety Service, Inspection 1, and Inspection 2. More recent BMWs will let you know when service is due, but regardless, it is a good idea to familiarize yourself with the maintenance schedule. If you would like to consult with us about the best plan for your BMW and when things should be scheduled then just ask us next time you are in and we can make a custom plan for your vehicle! Euroworks is also best know for Mercedes Service. Our Service Center is the perfectly designed to meet your Benz needs, in order not have to pay the outrageous pricing at large dealerships. Mercedes-benz scheduled service is grouped into categories: Service A, Service B, Service C etc. When your vehicle reminds you that your Service B is due, come call us as we are the most dependable, experienced, and best dealer alternative in the city. If you would like to setup a custom plan for service based on your exact vehicle and any modifications that have been done then just ask us next time you're in and we can create it together! A car tune-up is necessary in a good vehicle maintenance program as it ensures the proper function and performance of a vehicle engine and all of its supporting systems. A good car tune-up ensures optimal engine performance, maximizes vehicle gas mileage, and prevents minor problems from turning into major problems. Euroworks checks all tune-up parts including spark plugs & wires, air filters, fuel injection system, full visual engine inspection, check for any fluid leaks, wipers, lights, hoses, brakes, top off all fluids and overall inspection. If you'd like to set up a proper maintenance plan just call us and we can discuss what plan is best for your make and model. Paint Protection Films Now Available! When it comes to protecting your vehicle, we at Euroworks have the best in quality and service, as we have partnered with an industry and technology leading company, XPEL. 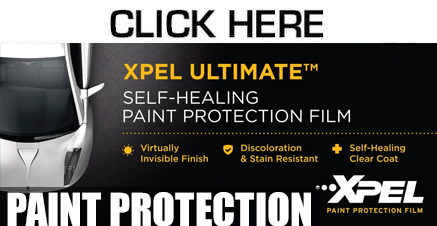 We offer our customers self healing paint protection film (PPF), incredible window tint film, and ceramic coatings to protect the entire body of your vehicle. We have renovated our shop and now have dedicated and branded areas for our protection services! You're going to love what we can do for the appearance and long term protection of your vehicle. Don't wait until you get a couple of rock chips to book in. Call or email us today to book your next appointment and start protecting the asset you have spent so much money on. In a world that never stops moving, the birth of the electric car movement has allowed the everyday hustle and bustle to continue, with green conscious in mind. With the all new BMW electric vehicles the engine sound has been silenced, the fuel has been turned off and the new era of electric cars has began. At Euroworks we strive to stay ahead of ever-changing technology and as the world of electric vehicle has now come, we believe it will play a massive part of future vehicles. Learn what makes us Calgary's European Car Specialists! If you have a moment and enjoy car-related videos as much as we do, feel free to click PLAY on the video above. You will see some beautiful cars, exotic locations, and a few shots of our showrooms throughout the years. Keep checking back with us here because we update something on our website weekly! You wouldn't want to miss some amazing videos or new promotions here at Euroworks! Euroworks also offers a very impressive line of vehicles for sale! We have just purchased a TON of new inventory for you all to come in and see. Have you seen our BMWs or our new Mercedes Benz vehicles we just got? We're more than just a BMW Service Shop - We sell cars too! If you need peace-of-mind for your Pre-owned Vehicle purchase, there is no better way than with a great Auto Warranty. We have offered Global Warranty for our pre-owned vehicles for many years and you can feel confident in the coverage for a long time to come. Why would one want a Dependable Car Warranty, you ask? Your manufacturer's Warranty may have expired or has limited coverage remaining. Today there are a lot more sophisticated car electronics options that tend to fail after a few years and cost a lot to repair. Also, most all car parts are really expensive to replace. So if you plan on keeping your car for several years, a Global Warranty from Euroworks in Calgary will ensure you have peace-of-mind for years to come! Be sure to ask us any questions you may have about it and we'll be happy to provide you with the answers you require. Spring is now here in Calgary... is your BMW ready for the warmer weather? We can obviously work on more than just BMWs... but we sure do a lot of BMWs! Have you checked your Tire Pressure? Gotten your Oil Service? Ensure your vehicle is ready for this drier season, the changing roads, and the temperature/seasonal change. Whether you are driving down on Deerfoot Trail or cruising slow on 17th Ave SW near Downtown Calgary... you wouldn't want to be the last guy rocking winter tires, would you? These dry roads will get your winter tires into some trouble quickly! Euroworks in North East Calgary handles autobody work! We handle all kinds of vehicles, including BMW, Porsche, Mercedes-Benz, Audi, Mini, Volvo, Bentley, and more! We are currently getting a lot of interest in our Custom Manufactured Rims offering! 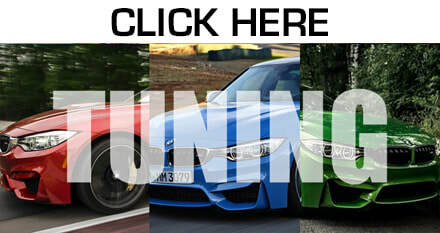 Be sure to check that page and our BMW OEM Retrofit pages out! Need a BMW Brakes Replacement or Mercedes Benz Brakes Replacement in Calgary? Need Mercedes Service A done in Calgary? 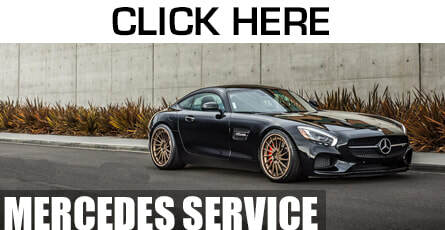 Need Mercedes Benz Service B done in Calgary? Need Volvo 96000 km Service done? 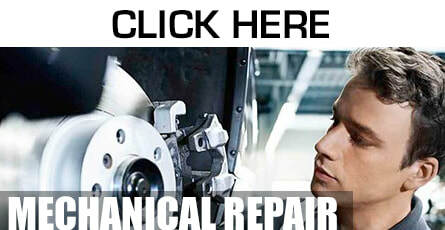 BMW Repair Calgary? Are you wondering "What does that light in my BMW mean?" Need to do a carbon clean? Come in and get Walnut Blasting done! Do you need a specialist for your German Car? 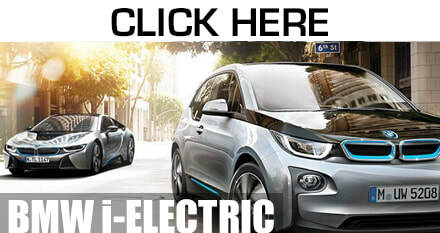 Wondering "Is the BMW i8 a good car to buy?" Interested in BMW AdBlue Diesel Service or Mercedes-Benz AdBlue Diesel Service in Calgary? Check our EuroBlog! Euroworks also handles things such as Engine Swaps in Calgary and ECU Tuning in Calgary. If your engine is failing, or you are simply in search of a new more powerful or fuel efficient one, come in and we'll get the ball rolling for that Engine Swap. Also, we can provide you with better fuel-efficiency and/or power through the use of one of our amazing ECU Tunes. This way you just need some reprogramming and you are on your way! We are also extremely helpful when it comes to rod bearing replacement in BMW M3s and M5s. Tune Your BMW or European Car! Euroworks is partnered well in the Performance and Tuning world! If you are in Calgary or the Alberta area and would like to stop in and see your local connection for AWE Tuning, Brembo, Prior Design, Manhart Racing, IND, Kahn Design, Akrapovic, KW Suspension, Eisenmann, VF Engineering, Renntech, Vossen Wheels, RKP, Active Autowerke, Vorsteiner, Fabspeed Exhaust, Bilstein Shocks, Weistec Engineering, Vossen Wheels and APR... then give Euroworks, the European Car Specialists, a shout today at 403-291-6839 so you are ready to legally take your car to its highest speeds! If there is anything that you are looking for and can't find on our site, please Let Us Know! Also, if there is certain content you would like to see us address on our site, please Contact Us! We are here to bring you what you need as far as Vehicle Information, and also to continue to bring you the Best Service for your European Vehicles. If you tell us your needs we will do our best to satisfy! Make sure you find us on Instagram, Facebook, LinkedIn, and YouTube! Love to hear from you, Alberta!